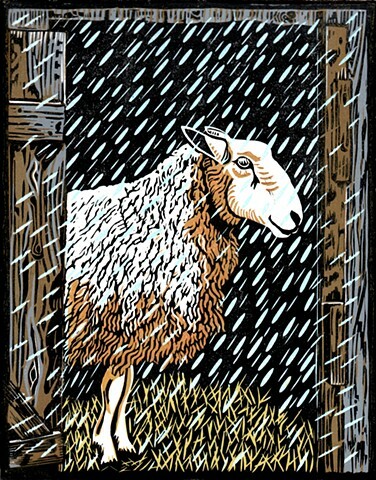 "Sheep in Snow" is a two-block reduction print. The key block is in black and I carved that first and printed it last. I printed the color block five times, carving a little more out after each printing. The colors are pale blue snow, yellow straw, tan sheep, and grey and brown barn boards. Hope you like it!